Alan Wake 2 tease on Twitter!?? They wouldn't mock us just like that, now would they? I will never give up hope!! I sure hope they do! At this point, I'm fairly sure that Alan Wake 2 is a lost cause. Not only has Remedy said that none of the three current projects they're working are related to AW2, but they have also admitted that the Alan Wake IP is a thing of the past. I don't know, I'm still hopeful that as long as Remedy is still around, so is the possibility of an Alan Wake 2, as they own the IP. Twitter is still very optimistic about that; I kind of like that, it shows that there's still interest. And personally, I would love for a sequel to happen buuuut the studio tends to make games I love, so anything that they're working on, I'm going to be interested in learning more. If Alan Wake 2 was in development, I think the first teaser of it will come from a E3 or Gamescom briefing, or a GameInformer cover. I think it might also be a contractual thing to not announce or tease it beforehand... although news of the music licensing being renewed may pave the way for some sequel-related anticipation from the gaming community. And they would want to renew those before marketing the sequel. 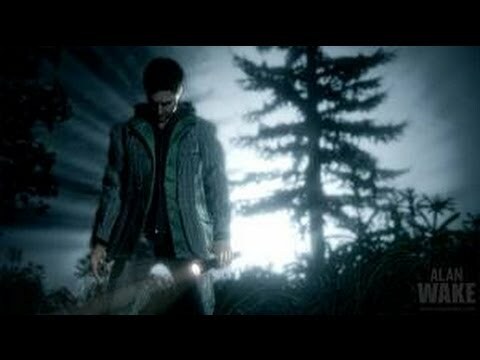 I also truly hope that Alan Wake 2 will happen. I just sincerely doubt it will, based on what Remedy has said about the project. First the showcase of the early prototype of a dead project, then announcing that the projects in development to the forseeable future aren't related to Alan Wake, and then a straight up admission that it's probably not gonna happen. I think that's enough evidence that the franchise is dead for good. Then again, it could just be a very elaborate plan to stir the emotions in the fanbase and build hype. Who knows. From my personal perspective, if Remedy have put Alan in a box for good then the only thing Remedy can do to remedey the situation is to come up with something even better than Alan Wake, and (again, from my personal perspective and taste) Quantum Brake was not even close. Something with coffee, nature, forests, mystery and main characters featuring unknown actor faces. That special Remedy recipe, feeling. I hope to see alan wake 2 asap but if this doesn't happen, i would like to see a new psychological horror thriller from them with a little bit of a lovecraft vibe. Someone can dream. Most probably Alan Wake 2 can't be done as a fully fledged triple A game with 8 hour gameplay in a single blow. Why not to try to do it in parts?